In today’s blog post, we are bringing our attention to relationships. More precisely, we are turning our gaze to ourselves. Only after we understand and nourish ourselves by taking care of our needs can we then be ready to dive deeply into the inner workings of our relationship with our beloved. First, we must steady our own self, because if we aren’t happy in ourselves, if we aren’t paying attention to our needs, development and growth, it’s unlikely that we’ll be able to experience happiness in our relationship. Our relationship can only be as happy as we are. It begins with us. 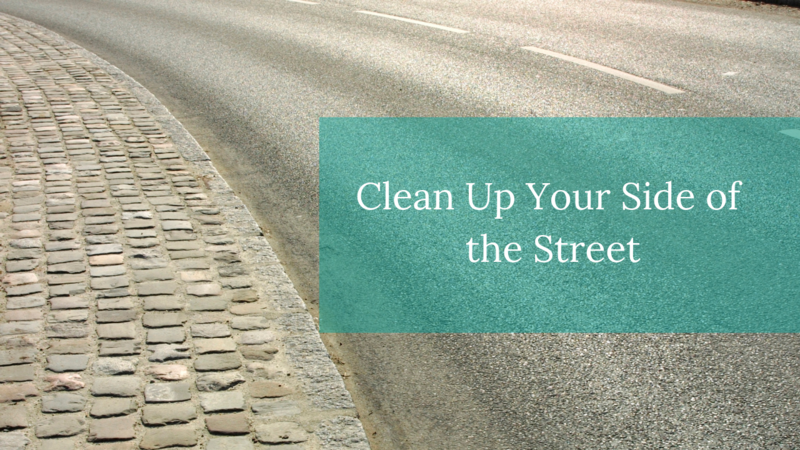 To begin to clean up your side of the street, we must change our mindset and realize that taking care of ourselves isn’t selfish; it’s necessary. We cannot take care of others if we are not filling our tank up first. When we are not taking care of ourselves we seek fulfillment of our needs from external sources—often our relationship with our beloved. This puts extreme pressure on the relationship and leads to frustration when our impossible expectations are not met. When we constantly put ourselves aside, we think we are being selfless, but in the end, we feel resentful, bitter and depleted. Often, we will find ourselves blaming these feelings on our relationship and searching for the solution in bettering and changing our relationship. The real transformation begins with us. When can I make time to take care of myself and meet my needs? Check out Cheryl's new book Relationship Revival: 8 Pillars of a Strong, Connected & Fulfilling Relationship where she shares all of the ins and outs of cleaning up your side of the street and reviving your relationships.